The Power of Berries is an interesting article on the health benefits of berries. 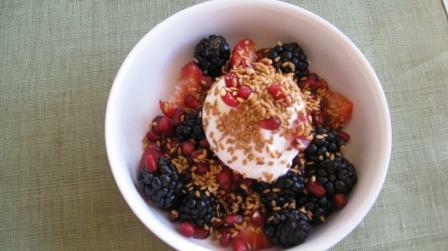 Start your day with a quick and easy breakfast bowl of berries and Greek Yogurt. For those of you with a sweet tooth, add a teaspoon of honey, preferably local honey.